It is rare that a divorcing couple is in complete agreement over how to resolve the key issues of their divorce at the time the divorce is filed for. More commonly, the couple will need to enter into negotiations, and potentially even courtroom litigation before a Divorce Settlement Agreement can be reached which is fair and acceptable to both parties. When a divorce is initially filed for in New Jersey, the filing party includes terms for what they think is fair when it comes to child custody, child support, alimony, and the division of assets. Considering the short-term and long-term implications such agreements can have on both parties’ legal, parental, and financial futures, more often than not the person receiving the divorce complaint will choose to “respond” to the complaint, causing the divorce to then be considered a “contested divorce”. When it comes to resolving your contested divorce, it is highly recommended that you retain the counsel of an experienced Monmouth County divorce attorney. At the Bronzino Law Firm, we have extensive experience providing highly effective and attentive legal counsel for our clients during the contested divorce process in towns across Ocean and Monmouth County, including Wall, Toms River, Point Pleasant, Asbury Park, Neptune, Brick, Jackson, Sea Girt, Spring Lake, Manasquan, Brielle, and more. Our legal team understands that no one wants a long and drawn out divorce process, and seek to quickly and effectively resolve the many potential disputes of divorce. Call our office today at (732) 812-3102 to discuss your unique needs and concerns when it comes to your contested divorce in a free and confidential consultation with our legal team. No response – if you do not wish to contest the divorce filing, not responding will result in an uncontested divorce. File an Answer – those who wish to contest the grounds for divorce or other details of the divorce paperwork may file an answer to offer different details. File an Appearance – defendants may contest the terms of the proposed divorce agreement, which generally refers to issues of division of assets, child custody, and so on. File a Counterclaim – counterclaims allow defendants to provide their own grounds for divorce either in addition to or in dispute of the stated grounds of the divorce paperwork. What is the Difference Between Contested and Uncontested Divorce in Ocean County? Contested divorce refers to a divorce where the defendant files an answer, appearance, or counterclaim. 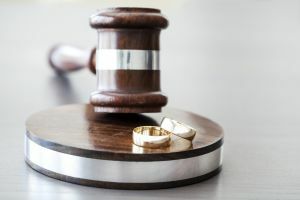 Divorce proceedings will then move forward as officially “contested”, meaning that spouses must go through Superior Court in the county where the divorce was filed. Both spouses will be granted the opportunity to present their case using evidence such as documentation, interrogatories, expert witnesses, and more. Contested divorces may be resolved at any point during the process, but may eventually end in a court trial and a final judgement of divorce. Uncontested divorce refers to situations where spouses are in a agreement on the many issues of divorce and do not require New Jersey Family Court intervention. Uncontested divorce often saves both time and money for participants, as many of the steps associated with contested divorce may be skipped. Contested divorce attorney Peter J. Bronzino takes pride in resolving even the most complex disputes for clients from Ocean County towns such as Brick, Sea Girt, Spring Lake, Toms River, Jackson, Point Pleasant, Wall, and across Eastern New Jersey. Our firm takes the approach that most divorce and family law disputes can be resolved through amicable communication. However, we are prepared to aggressively pursue litigation to protect the legal rights of our clients and their families when needed. For a free and confidential consultation regarding your contested or uncontested divorce, please contact us online or call our Brick, NJ offices today by dialing (732) 812-3102.